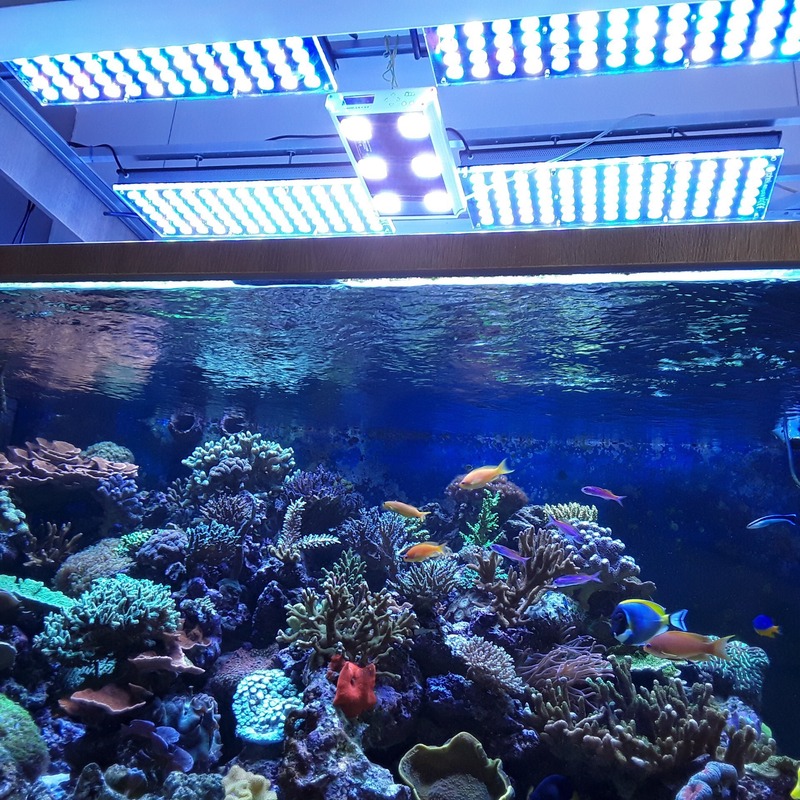 It is always a joy to receive photos and feedback from our clients of their tanks and corals under their Orphek reef Aquarium LED lighting. This week we have received many from our clients located in Europe. 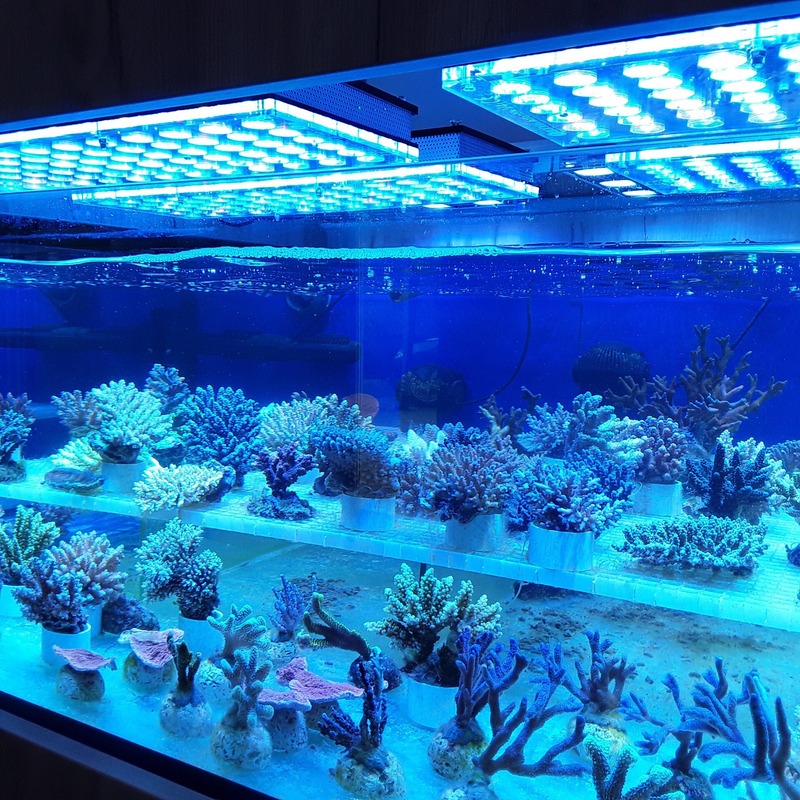 Today we would like to share photos from a store from Austria using our Orphek Atlantik v4 reef Aquarium LED lighting. 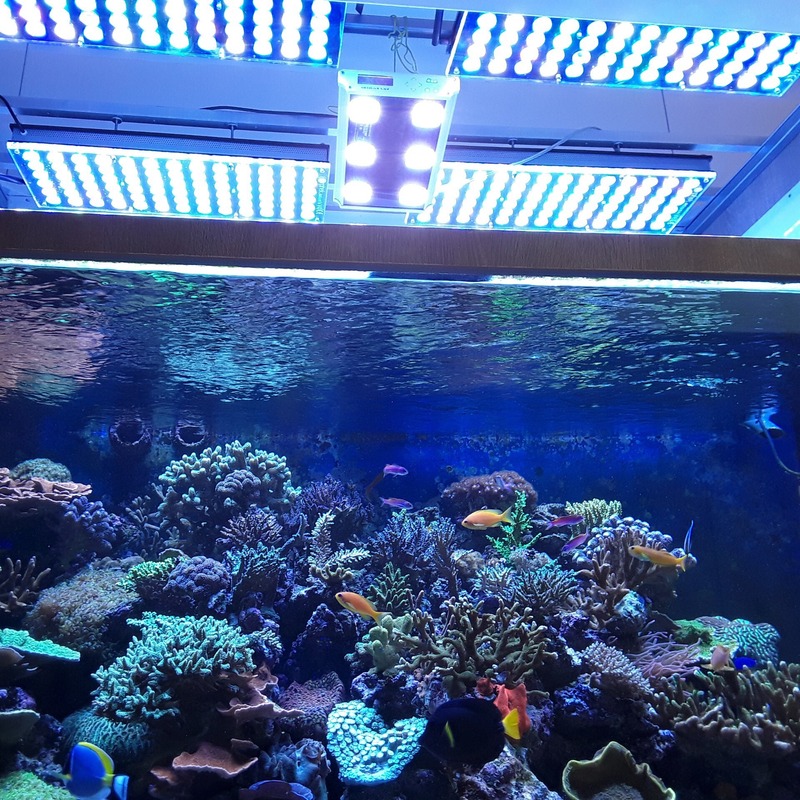 Client has also sent us feedback regarding the growth of their corals under the lights that we wish to share with you. … My corals grow very fast and it’s the first time ever that my Zoanthus grow. As you guys noticed Orphek V4 in my shop was combined with the 3 first version of GHL Mitras and the photos of my 1400L aquarium were taken with 1 GHL Mitras LX7 (GHL is only for testing though). 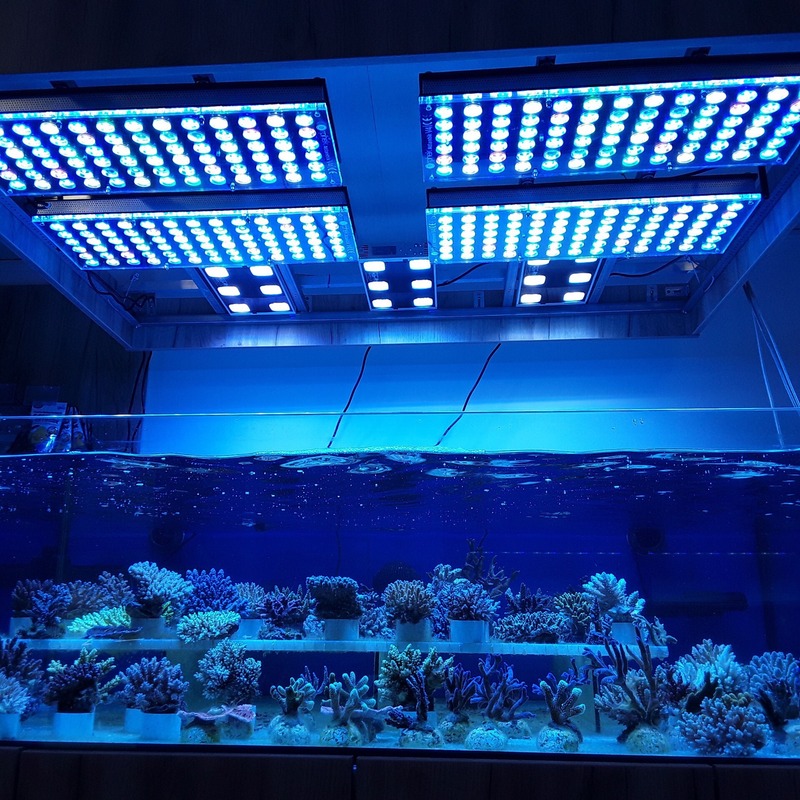 Ocean Corals has sent us pictures of 2 different tanks under 04 Atlantik units each, which 2 different layouts. 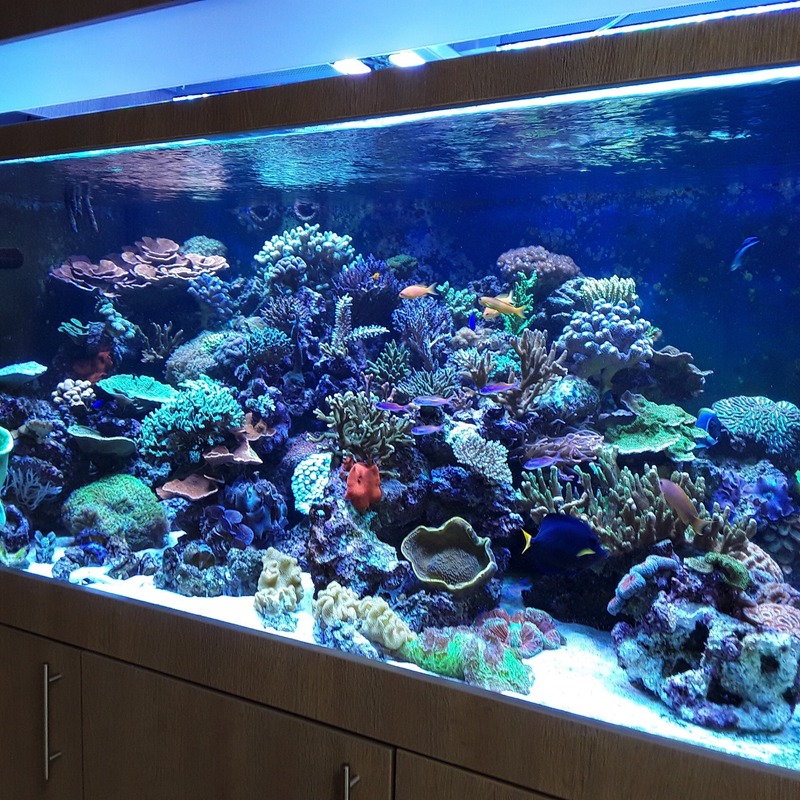 The first one is a sps frag tank and the second a beautiful mixed corals tank.